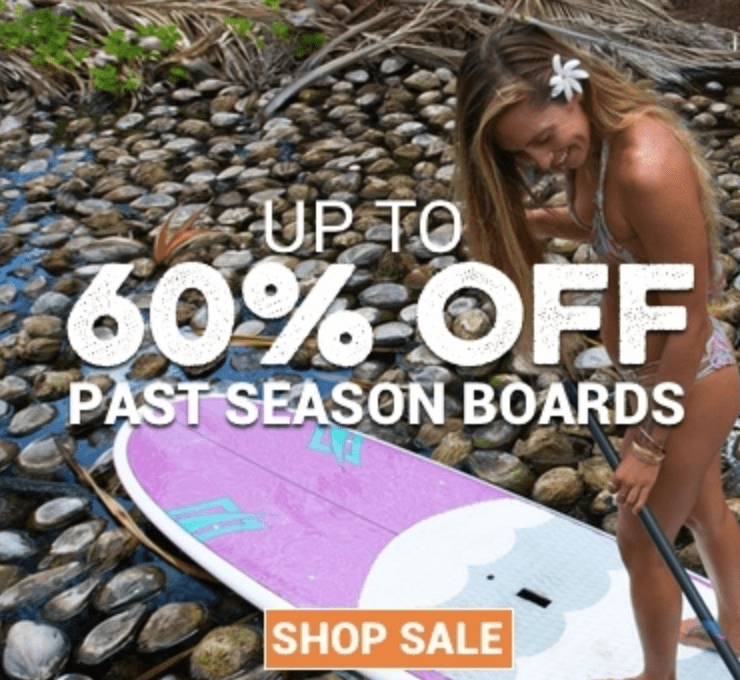 We really want to be your one stop resource for paddle boarding and repairing a damaged board is a big part of owning one. I learned this very young when I got into surfing. 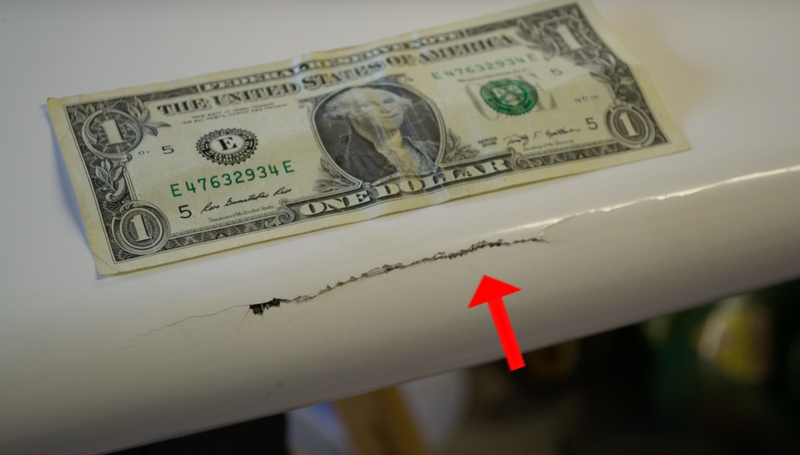 Repairing small scratches, small missing pieces and dings to your stand-up paddle board is easy and can be performed with little expense. If you have large gouges or missing pieces in your board, it’s better to seek the help of a professional or just cut your losses and buy a new board. But if you have only minor repairs to do on your board, there are a number of products available that will make repairing your board a simple task. The two common types of boards you’re likely to attempt a repair on are inflatable and hard boards. Inflatable boards are filled with air and are susceptible to getting punctures that require a patch to fix. Hard boards are similar in material to traditional surf boards and are comprised of a fiberglass-reinforced plastic with a polyester or epoxy coated shell. Inside is a foam core providing the buoyancy to the board. These types of boards are typically repaired using a liquid resin which fills in holes and hardens when it dries. The first thing you want to do when trying to fix a leaking inflatable SUP is to find the hole. First you can pump the board and wipe the outside with a sponge and soap, attempting to find where the bubbles are forming as you move across the surface. When you find the hole, circle the area and deflate the board to get ready for application of the patch. Clean and dry the area around the hole, then round the corners of the patch and cut it so that it fits completely around the hole with plenty of room to spare. A good way to help you avoid using too much glue is to use a pencil to outline the patch over the surface where the hole is. Then apply the glue in a thin layer to the entire outlined area on the board and on the patch itself to just inside the edges. Wait for the glue to dry for five to seven minutes and then apply the patch to the board. Use the edge of a blunt object with a smooth surface to press out the air bubbles from underneath the patch. Let it dry for about a day before re-inflating the board. With extended use your hard board will eventually get dings and other damage. The more severe damage can penetrate the outer shell of the board and expose the inner foam. Failure to repair the board when this happens can result in water getting inside and potentially ruining an otherwise salvageable board. One of the most reliable do-it-yourself approaches to repairing a hard board is to use Solarez epoxy repair resin. 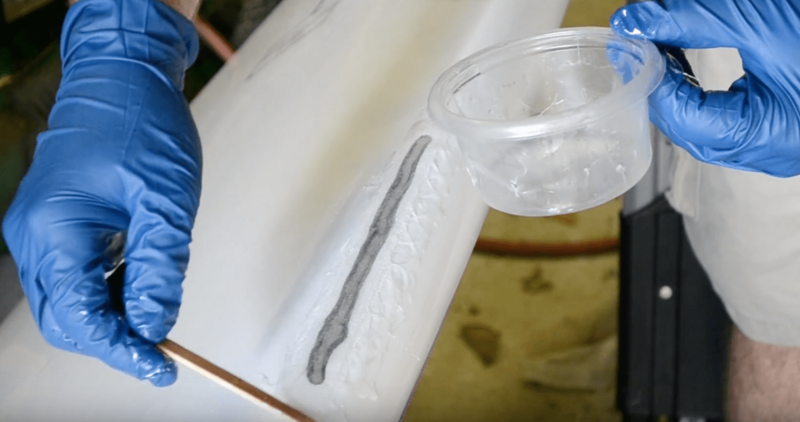 This product is a tube of liquid resin that you can use to fill in the holes and missing chunks in your board. This one is specifically for Paddle Boards. I used to use a similar version on all my surfboards. To prepare your board for the resin, use a knife to cut out all the loose and damaged pieces in the area to be repaired. I would give the edges a lite scuff with some sandpaper to help the bond. Then take the board out of the sun and squeeze the resin into the hole. Place the board back in the sun and let it dry for about five to eight minutes. After it’s dry, use a sander to sand down the resin until it matches the original form of the board. You can also use resin designed for quick use while you’re out on the beach away from home. This resin fills in the hole and dries in about fifteen minutes. After it dries cover the hole with the provided tape and the board is temporarily usable until you have the time to apply a more permanent solution. There are many different products on the market designed to make it easier to repair your board without having to go to a professional. These products are great for the minor everyday dings, scratches and small missing pieces that happen from regular board use. Use the right product for your board and follow the directions completely before you go back out on the water and you’ll keep your board in great condition for many years to come. Knowing how to repair your board is a good idea and can save you a lot of money. No need to feel intimidated and you can always write and ask questions if need be. Solarez is an excellent product for and fiberglass or epoxy board and easy to use. I hope this helps. Thanks for the great video link Nick! How do I fix a hard board with foam covering its entire top and sides. Should I remove all the foam or just the parts that have holes? Technically, I could probably take all the foam off and sand the board down and put a coat of resin on it and call it a day. But, what would you suggest? Hi Gigi, I do not have a way to repair a foam top board. I will be looking into this. I have a foam top board in my quiver, but I have not ever had to repair it. Maybe someone else reading this can chime in, but I will do my best to find a solution for you.